Unsurprisingly, the jibe drew an enthusiastic reaction from the audience and went on to stir a ruckus in the British press. On the surface, at least, the comment seems to have a hint of truth to it: the UK is in the midst of a process that will cut off its influence in the institutions of the EU and shift the focus of its trade arrangements towards countries outside Europe. A reasonable conclusion to draw is that the importance of the English language will start to wane across European businesses, schools and institutions. Adding fuel to this argument is a recent report analysing the trends of the UK’s English language teaching industry. The report, written by English UK, the national association of accredited English language centres, uncovered a 10 percent decline in the number of students from Western Europe enrolling in English courses in 2016, as well as a 37 percent decline in those from Eastern Europe. For centuries, the aristocracy in England and political delegates from around the world spoke French, and it’s still sometimes referred to as the ‘language of diplomacy’ today. In the 21st century, French is one of the working languages for many international bodies, and remains the lingua franca of sporting institutions like the International Olympic Committee and FIFA. What’s more, Forbes speculated in 2014 that French would be the “language of the future”, owing to the high rates of growth in Francophone African countries. German, meanwhile, continues to hold sway in the academic world, particularly within the sciences. It’s also the most common second language in several EU countries such as Croatia, Slovakia and the Czech Republic. The dominant language of EU institutions has also fluctuated since the body’s initial foundation as the European Economic Community (EEC) in 1957. When the EEC came into being, French and German were its only official languages. French then dominated until the UK joined the bloc in 1973, ushering in English as the third official language. But English was not fully solidified as a lingua franca until the EU’s ‘big bang’ enlargement in 2004, when the accession of Eastern Bloc countries brought with them a tradition of speaking and learning English. Indeed, it’s telling that it wasn’t until 1993 that English was permitted in daily press conferences from the European Commission. French ruminations on the topic have been particularly high in volume. As soon as the Brexit vote materialised, then French presidential candidate Jean-Luc Mélenchon tweeted: “English can no longer be the third working language of the European Parliament.” Robert Ménard, the mayor of the southern French town of Béziers, echoed this sentiment, stating English now had no legitimacy whatsoever in Brussels, and should be superseded, even by Irish Gaelic. Despite President Juncker’s assurance, the facts paint a different picture. While industry statistics depict a decline in English learners in Europe, they are tangled with the effects of exchange rate changes and more long-term industry trends, such as the growing ease of internet learning. The practical reality is the English language has become so embedded in business, social and diplomatic interactions that the everyday call for its continued use is likely to hold out. “Its momentum rests on the fact that everyone knows English – we speak English because others do,” Mauranen said. This can be argued from both an outward-looking, global perspective and an inward-looking, European perspective. From a global perspective, English is the fastest-spreading language in human history, and is spoken at a useful level by one in four people around the world – the 230 million English-speaking EU citizens compose just 10 percent of the worldwide total. Further, an Ipsos Mori study found 67 percent of those working in jobs that require international communication said most of their exchanges were conducted in English. According to a report by Education First, it’s also the language of the internet, with an estimated 52 percent of the world’s most visited websites displayed in English. “The weight of English is too global for Europe to seriously start relying on an essentially Eurocentric language like German, a receding language like French, or a globally growing language of European origin like Spanish or Portuguese – none of them carry enough significance on their own to be of huge importance,” Mauranen said. The argument for the utility of English from an inward-looking perspective is also convincing. The number of English speakers across Europe reflects the huge investment that so many have already made in learning it, while many international companies expect employees to be fluent in English, and have invested in structured schemes to facilitate this. In several EU states, almost half the population has a ‘very good’ knowledge of English, with 52 percent in Malta, 44 percent in Denmark and 40 percent in Sweden. According to a Eurobarometer study, 38 percent of EU citizens speak English as a foreign language to a working proficiency. German and French, meanwhile, are spoken to a working proficiency by just 14 percent of EU citizens. Further down the pecking order are Russian and Spanish, sitting at six percent, while Italian is spoken to a working proficiency by just three percent of non-native speakers. 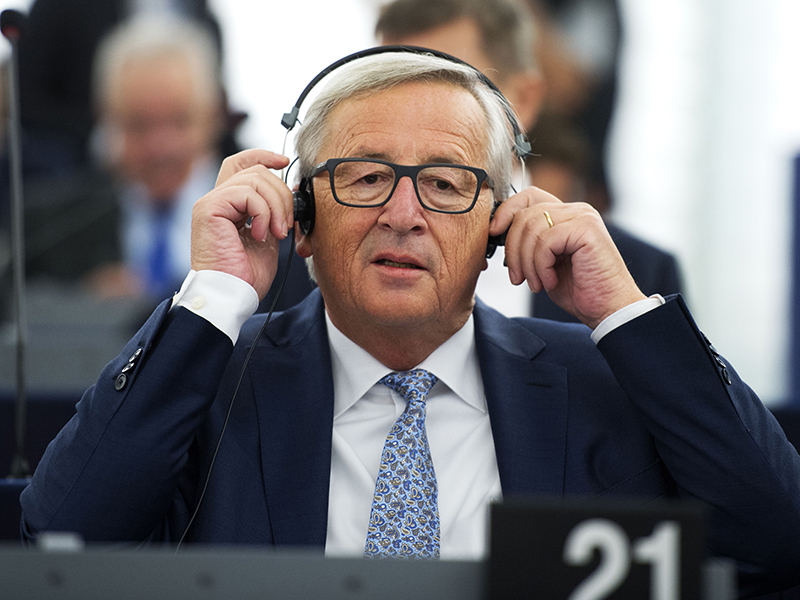 Juncker’s comment also came with a dose of irony; while the audience responded by clapping and cheering, the bulk of them also rushed to position their interpretation headsets when he made the switch to French. Besides, plenty of people have pointed out Juncker would no doubt have been aware that his Florence-based audience would better understand him if he made the comment in English. But perhaps most notably, the English language still has momentum behind it, something that can be easily demonstrated by the rates at which it is being taught in schools. According to a comparative study by Eurostat, 94 percent of upper secondary students learn English as a foreign language. French is second in the ranking with 23 percent, with German and Spanish coming in third and fourth at 21 and 18 percent, respectively. What’s more, the proportion of primary and secondary students learning English stands at 83 percent, which is up from a year ago, when it was 73 percent. With English the most commonly spoken second language in the vast majority of EU countries, it’s the natural go-to among Europeans. In the absence of a native speaker, these conversations can develop a somewhat European flavour, with people naturally accommodating each other’s turns of speech and vocabulary. Examples include the term ‘handy’, meaning mobile phone, or characteristically European grammatical deviations, such as the use of ‘I am coming from’ instead of ‘I come from’. Certain new phrases are also beginning to emerge: for instance, Modiano noted the phrases ‘to hop over’, meaning to refrain from doing something, and ‘to salt’, meaning to overcharge, are now common among people from Nordic countries even though they would fall on deaf ears in the UK or the US. 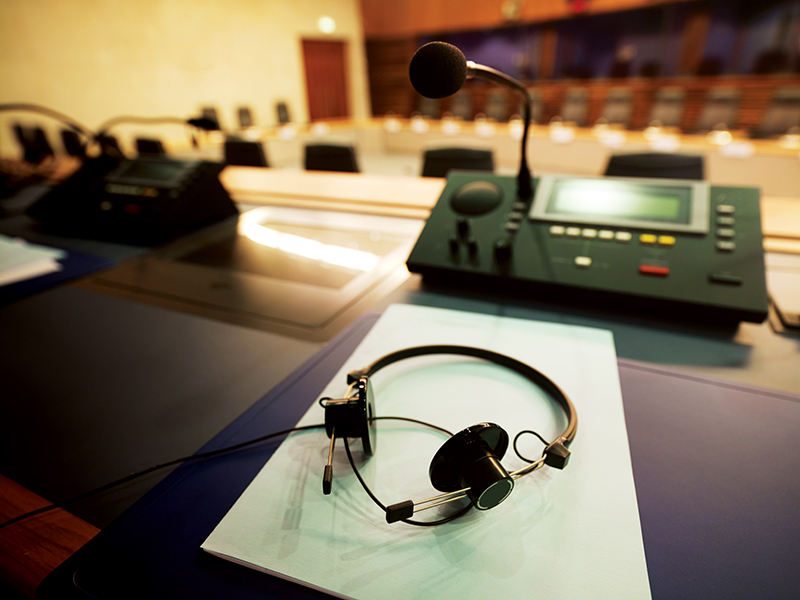 Jeremy Gardner, a senior translator from the European Court of Auditors, has endeavoured to document the ‘Eurospeak’ that can be heard throughout EU institutions. Last year, Gardner published a dictionary of terms entitled Misused English Words and Expressions in EU Publications, which highlighted the occasions when the EU published works that deviated from traditional English. Based on Gardner’s observations, it appears words such as ‘cabinet’, meaning private office, and ‘eventual’, meaning possible, are now comfortably part of the Brussels lexicon. Other examples include new permutations and blends of traditional English words such as ‘planification’ or ‘actorness’. Gardner further speculates that more EU officials would understand the Euro-English term ‘externalising’ than the UK English term ‘outsourcing’. For each word of Eurospeak he documents, Gardner explores how it might have come into being, and describes how it is being misused in relation to the EU. Writing in reference to ‘actorness’, Gardner said: “This word is an extraordinary creation that manages to combine a noun of dubious pedigree… with a suffix (-ness) which, elsewhere in the English language, is only applied to adjectives and participles, producing a result that is both quite impenetrable and slightly childish. This kind of technocratic language is only one strand of Euro-English, but provides an apt snapshot of the broader development of Europe’s own strand of English. According to Modiano, an absence of native English speakers could create more space for Euro-English to flourish. With the UK out of the picture, for example, there will be even more scenarios in which English is spoken without a single native speaker, both inside Brussels and out. What’s more, the British would lose their sway in nudging Europeans towards the UK standard. In other words, Europeans will become free to take the language in a new direction. Somewhat paradoxically, the UK’s exit from the EU could even act to boost the prominence of the English language across the continent. Modiano speculates the specific political and social set-up that Brexit is set to create will not only open the door for the rise of Euro-English, but will also grant the language a newfound neutrality. In order for Euro-English to be taken more seriously, the politics of language within the EU will be crucial. Only after Brexit will it be politically plausible for the EU to grant Euro-English institutional support, as it will no longer be seen as a decision that unjustifiably benefits the people of any particular country (save the Irish and the Maltese, whose combined population is a tiny fraction of the EU’s). “Under these new conditions, all that will remain at that conjecture is for the leaders of the EU to proclaim that, because English has become established as Europe’s premier universal language, the time has now come to define the language as a continental European enterprise, with its own unique characteristics,” Modiano said. It certainly wouldn’t be unprecedented for such an evolution to gain official recognition, with previous variations of the English language already being codified and widely accepted. The first major American English dictionary, Webster’s Dictionary, was published in 1828, while the Macquarie Dictionary, which is regarded as the authority on Australian English, was only published as recently as 1981. The foundations will soon be set for Europeans to follow the likes of the US and Australia in the establishment of their own English dictionary, codifying the unique variations of Euro-English. This is not to say it will happen overnight; the development of a distinct, European English will inevitably take time. Until then, we are unlikely to hear any lingual frankness coming from President Juncker.